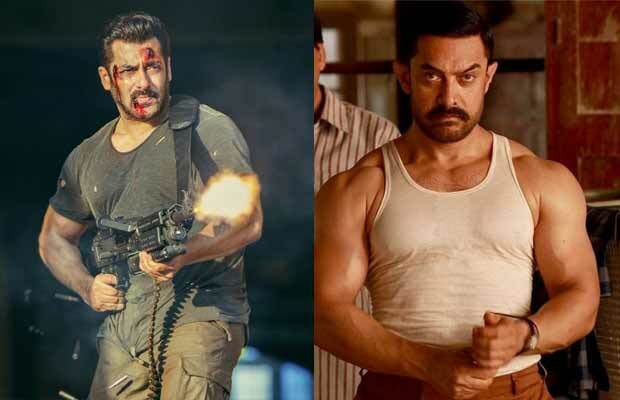 Box Office: Salman Khan's Tiger Zinda Hai Vs Aamir Khan's Dangal First Weekend Business! Box Office: Salman Khan’s Tiger Zinda Hai Vs Aamir Khan’s Dangal First Weekend Business! Tiger Zinda Hai also starring Katrina Kaif is creating havoc at the Box Office since day one. Being Christmas holiday films, could Salman Khan’s Tiger Zinda Hai break Aamir Khan’s Dangal first weekend business? Salman Khan and YRF’s magic along with the fact that an action genre film with a superstar and holidays is a very powerful combination for super success at the Box Office. Tiger Zinda Hai also starring Katrina Kaif is creating havoc at the Box Office since day one. Tiger Zinda Hai took a fantastic start at the Box Office. The Ali Abbas Zafar directorial earned Rs 34 crore net approx on day one, Rs 35.25 core net approx. on day 2 and Rs 44.55 crore net approx on day 3. The film has done a total business of Rs Rs 114.75 crore net approx. in just three days. Ali Abbas Zafar’s TZH has taken Box Office by storm. At the moment the Sunday record was held by Aamir Khan’s Dangal which grossed Rs 41 crore net on its first Sunday exactly one year ago. Anyway, Tiger Zinda Hai has easily broken Dangal’s first-weekend business at the Box Office. Nitesh Tiwari starrer Dangal had collected Rs. 29.15 crore (291 million) net approx on its first day and witnessed an amazing weekend ahead. The film had collected Rs 34 crore (340 million) net approx on Saturday and Rs 41 crore (410 million) net approx on Sunday. The overall first-weekend collection was Rs 104.25 crore net approx. If the trend continues, TZH will override original expectations, which were already quite high. Previous articleBox Office: Salman Khan-Katrina Kaif Starrer Tiger Zinda Hai Enters Rs 100 Crore Club! Next articleBigg Boss 11: Evicted Contestant Arshi Khan Makes Revelations On Her Court Cases, Gehana Vasisth And Much More!